Bareilly (UP)(PTI): Madrassas in Bareilly area which defied the UP government order on unfurling the national flag and singing the national anthem on Independence Day may face action, including under the stringent National Security Act (NSA), a senior official said here. “If we get a complaint that any madrassa did not comply with the government order on the unfurling the national flag and the recital of national anthem, we will get it probed and after giving a chance to all, action will be taken against the guilty as per the law,” Bareilly Divisional Commissioner, P V Jaganmohan said today. He added that action could be initiated as per the Indian Penal Code (IPC), Code of Criminal Procedure (CrPC), besides other laws, for showing disregard to the national flag and national anthem, including the NSA. Under the NSA, a person can be detained without bail or trial and the authorities need not disclose the grounds of detention if they believe the detainee can act in a way that poses a threat to the security of the state/country or the maintenance of public order. Jaganmohan said that all the minority welfare officers had been asked to immediately submit a list of madrassas where the national anthem was not recited. Complaints from the public in this regard will also be probed, he said. 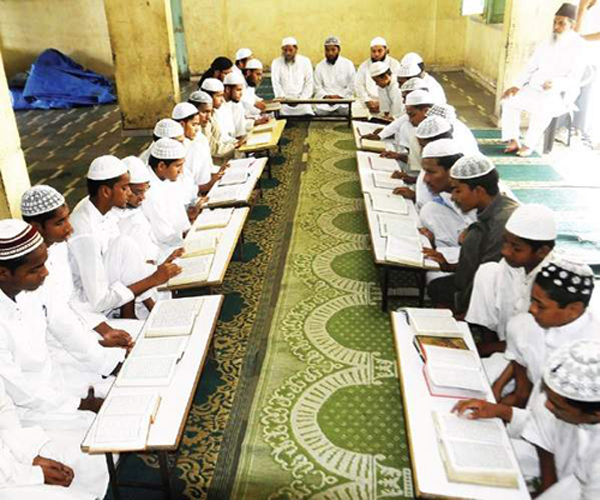 According to officials, a majority of the madrassas followed the order. However, according to some reports, the call by some clerics to defy the order had an impact in some madrassas and “Saare jahan se achcha Hindustan hamara” was sung instead of the national anthem. However there was no official confirmation about this.